Loudmouth an innovative theatre in education company recently visited Highclare Senior School! 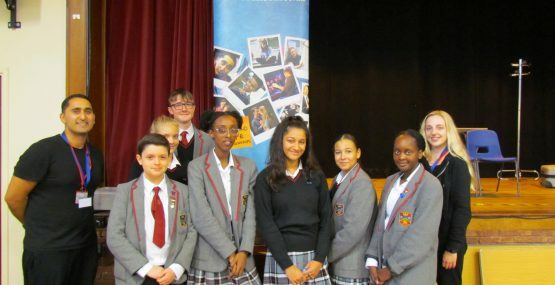 They delivered two fantastic interactive drama performances and workshops based around some of the important topics that pupils study in their PSHE lessons. The first workshop was called ‘Working for Marcus’ covering the sensitive topic of grooming and child exploitation. This was delivered to Key stage 4 pupils highlighting the risks and any warning signs that they should be aware of. 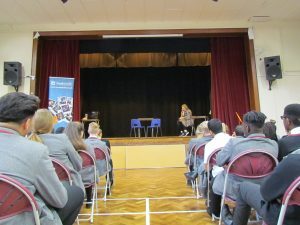 The second workshop was ‘Bully For You’ and delivered to Key stage 3 pupils. This highlighted the importance of friendships and how to cope if pupils feel they are suffering bullying. Brilliant acting and interaction activities meant that pupils were engaged throughout the workshop, evident through a thoughtful answers and questions session and well lead discussions on powerful issues. 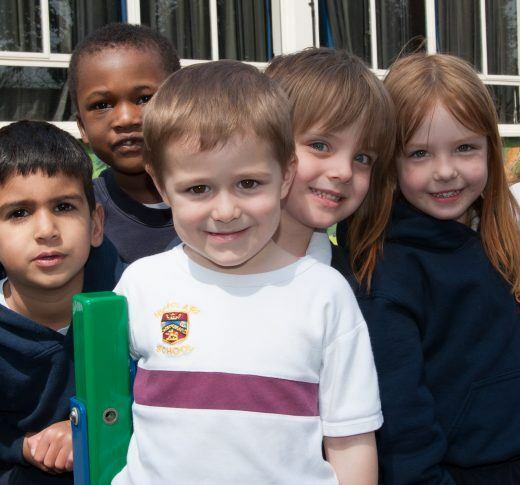 Both workshops were extremely successful and will be followed up further in the forthcoming PSHE lessons.